More people are getting dental implants to replace missing teeth. Dental implants are a long-term solution because they are imbedded in your jawbone – just like your natural teeth. They even do your natural teeth one better since they can't develop cavities. Plus, unlike fixed bridges or removable dentures, dental implants will not affect neighboring healthy teeth or lead to bone loss in the jaw. If properly cared for, dental implants can last a lifetime. Bone preservation because implants are imbedded into the jaw, preventing bone loss. Do not affect neighboring teeth. No day-to-day frustrations or discomfort from ill-fitting dentures. Dental implants can last a lifetime! On average, bridges and dentures need to be replaced every 7 to 15 years. 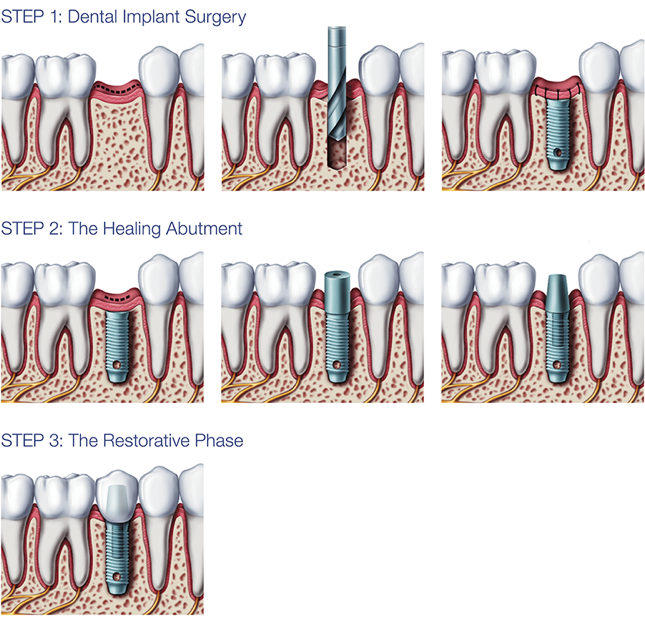 Dental implant surgery is, of course, surgery – and is best done by a trained surgeon. Your oral and maxillofacial surgeon has the specialized education and training in the complexities of the bone, skin, muscles and nerves involved to ensure you get the best possible results. 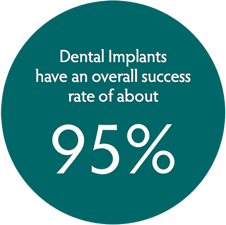 A 2014 study suggests greater implant success rates when the procedure is performed by a dental specialist. 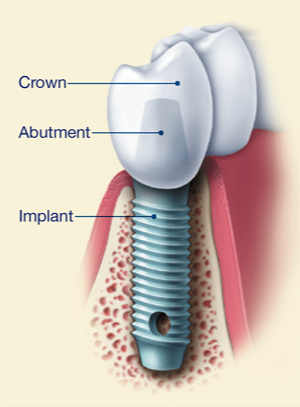 Implants are made of titanium metal that "fuses" with the jawbone through a process called osseointegration. There's no shortcut to get around that process, and it usually takes several months once the implant is put into your jawbone. Osseointegration, however, is why implants never slip or make embarrassing noises like dentures, and why bone loss is usually not a problem. To learn more and find an oral and maxillofacial surgeon in your area, visit MyOMS.org. The information provided here is not intended as a substitute for professional medical advice, diagnosis or treatment. It is provided to help you communicate effectively when you seek the advice of your oral and maxillofacial surgeon.